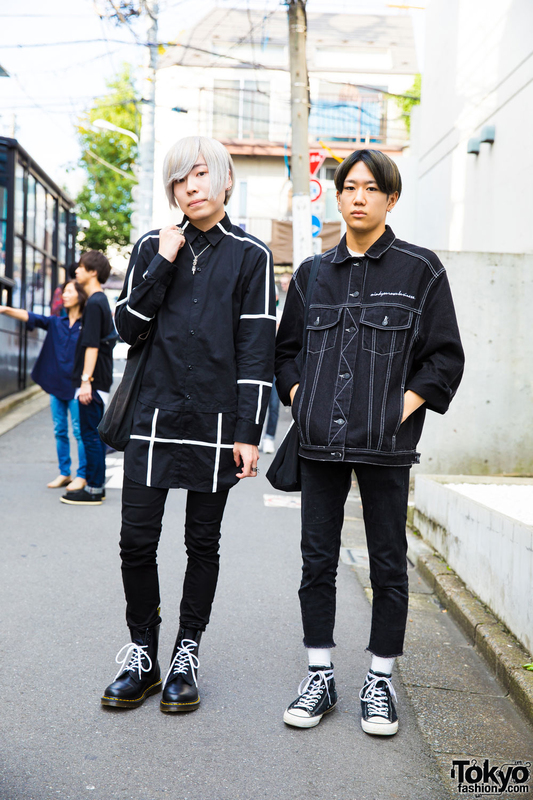 Harajuku Duo in monochomatic fashion style with black and white tops, black pants, tote bags, sneakers and boots. 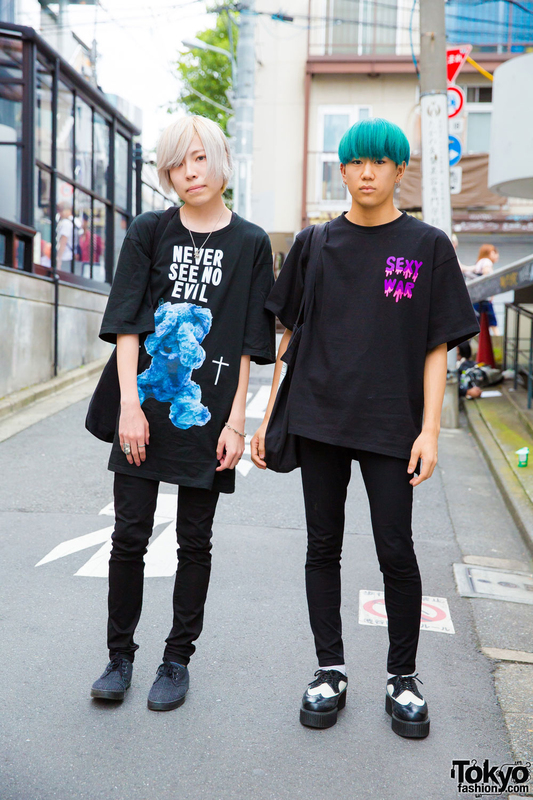 Harajuku guys in black Japanese street styles with print t-shirts and skinny jeans. Harajuku Girl in hat and glasses with black coat, turtleneck sweater, jeans, heeled ankle boots and cream handbag. 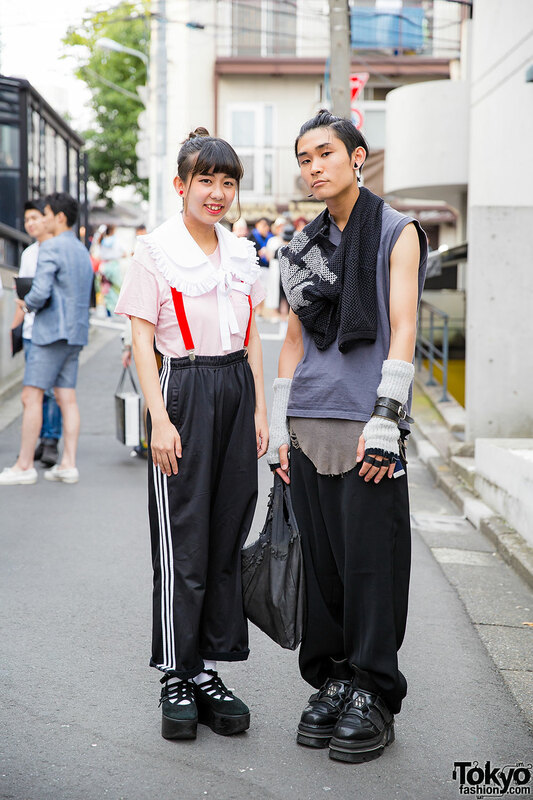 Harajuku girl with oversized collar over t-shirt and sweatpants, with rocking horse shoes and rose earrings vs. Harajuku guy in layered tops, wide leg pants, arm warmers, gauged ear and leather accessories.